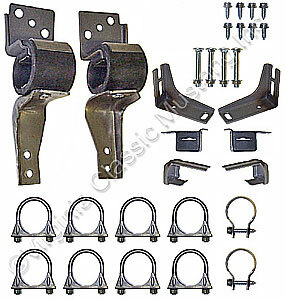 Hanger kit to install 67-70 2" Dual Exhaust System. Use with EH-14 Exhaust System. This kit is listed for 70 also - but would only be used on 70 Shelby or 67-69 system.